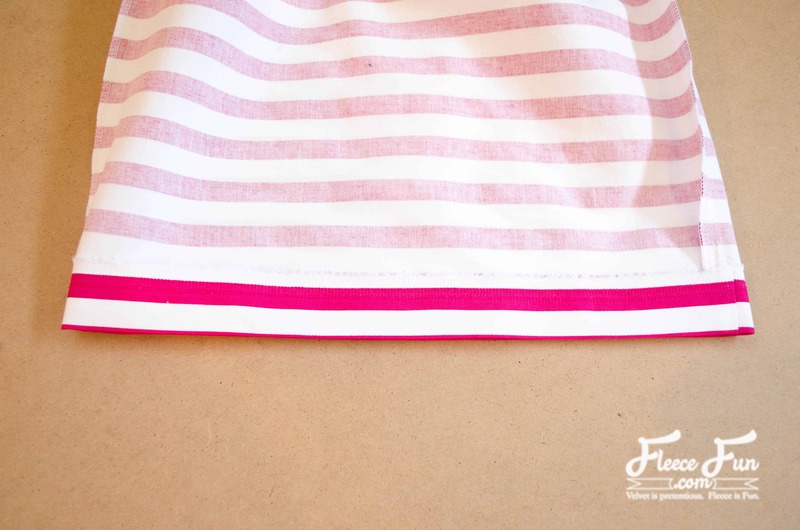 This simple skirt for girls tutorial is easy to make and comfortable for your little lady! 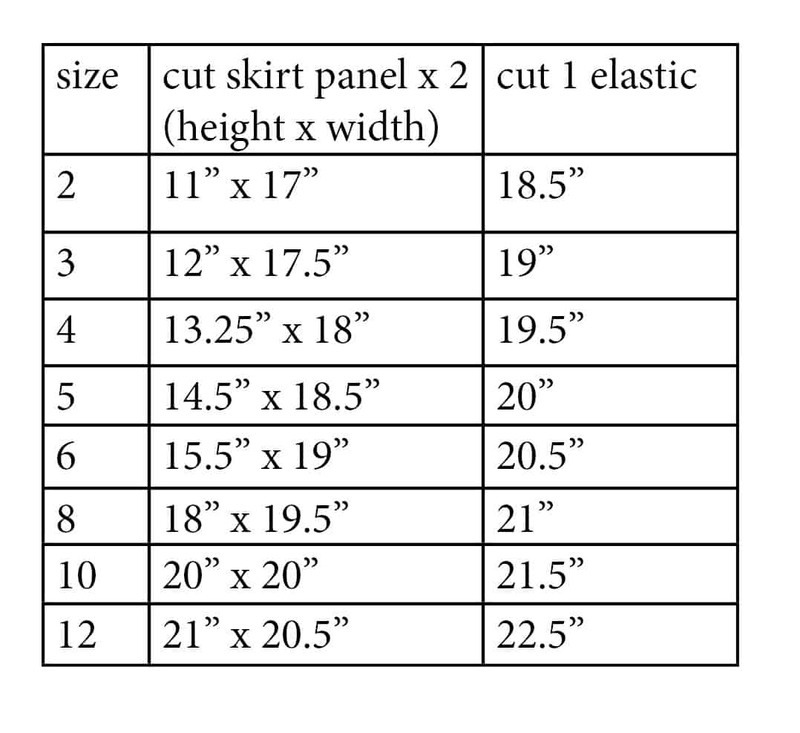 Plus there are measurements for sizes 2t to 12! 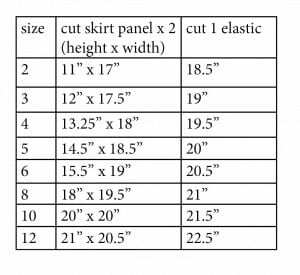 Did you know that you can make this skirt in adult women’s size too? You can find that tutorial here. 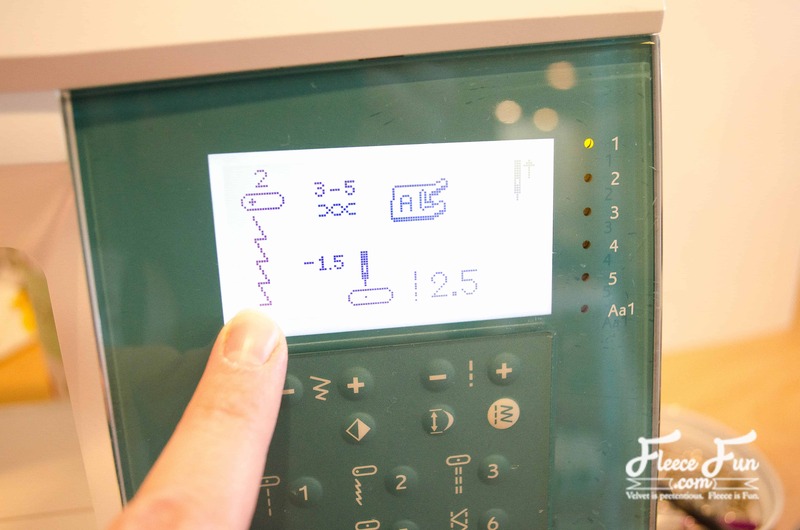 Pin your rectangles together at the side seams, right sides together. 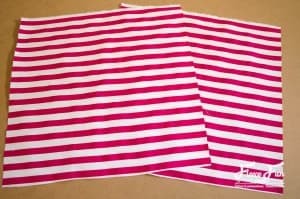 Be very careful to match up the stripes. I put pins every 2″ or so to ensure nothing slips around while stitching. 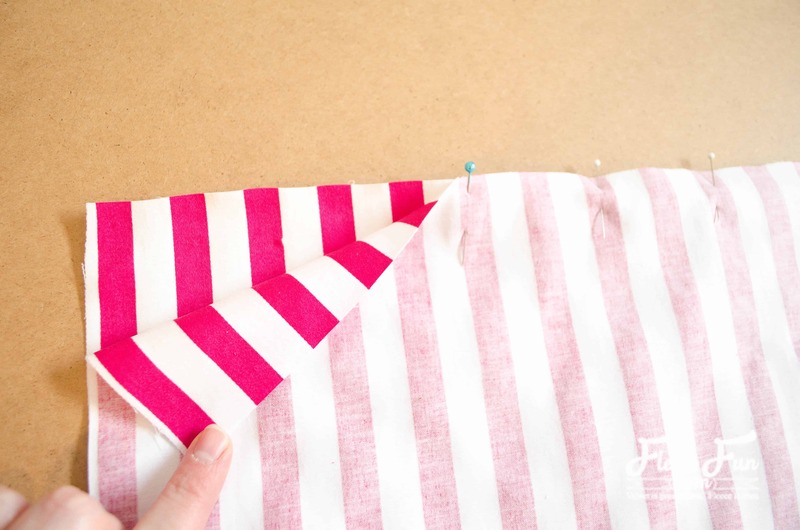 Stitch the side seams and finish the raw edge with a serger or zigzag stitch. 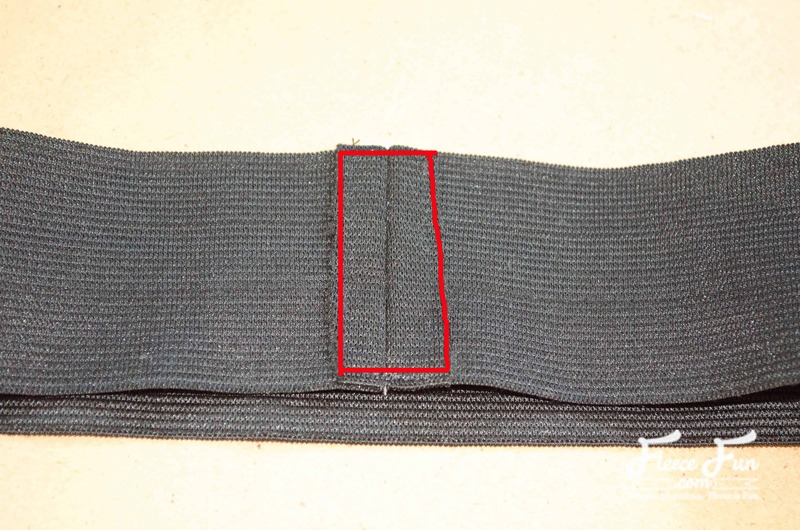 Create the waist band by sewing the two raw edges of the elastic together, right sides facing. 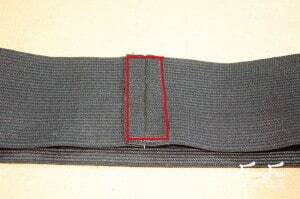 Carefully press the seam allowance open, and sew along the raw edges as shown. 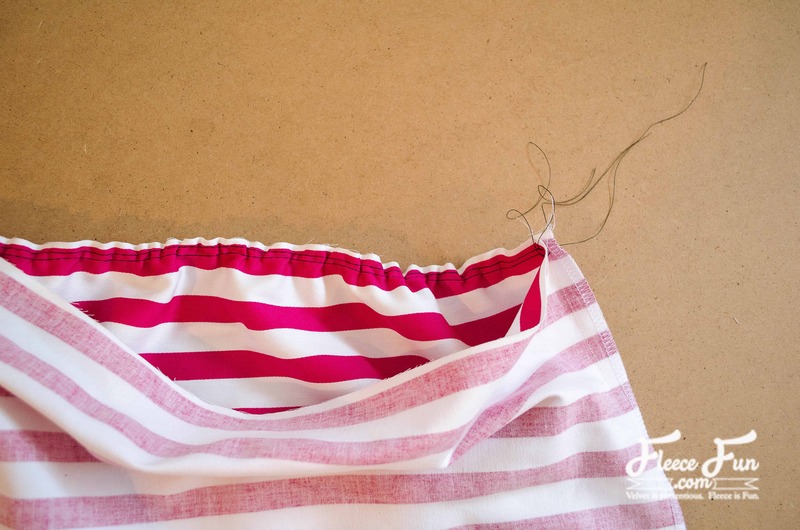 Finish the raw edge at the top of the skirt with a serger or zigzag stitch (not shown). Sew two rows of basting (long) stitches across the top. 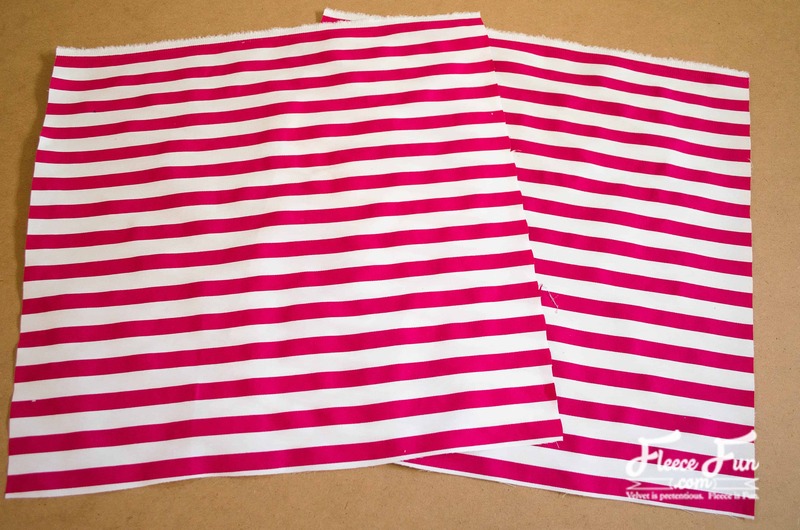 These will gather the top of the skirt to fit the waist. 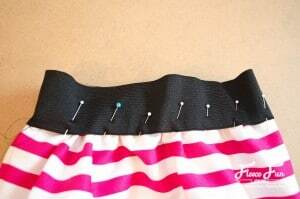 I like to do the front and the back separately because this reduce the chance of the threads snapping.Gather the top of the skirt to fit the waistband by pulling on the bobbin threads. Pin the waistband carefully in place. 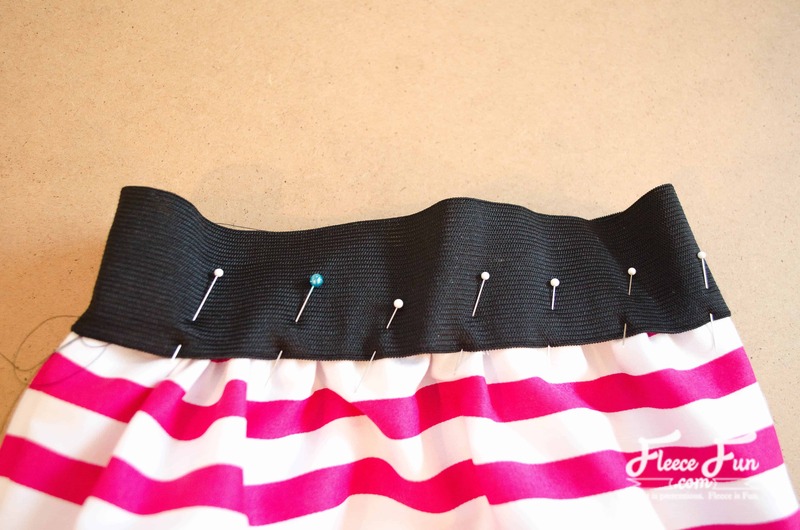 It will be very obvious with stripes if your waistband is not on straight so use lots of pins and ensure it is even. Stitch the skirt to the elastic waistband close to the bottom edge of the elastic. 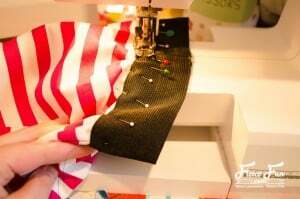 You need to use a stretch stitch to attach the waistband. This can be a regular zigzag or a lightning bolt stitch like I used. Remove gathering stitches. Finish raw bottom edge with a serger or zigzag stitch. Fold and press bottom hem up 2″. You can topstitch the hem in place or use a blind hem by hand or machine.